Helsinki is the big brother of the iPhone sleeve Oslo and is especially made for the iPad. This felt iPad sleeve Helsinki by Rowold is made of high-quality wool felt. The sleeve comes in black, red, taupe, and blended grey. The stitches are on the inside of the sleeve resulting in a beautiful felt edge with a large ring in the corner. Use it with your iPhone and attach a key cord for example, so you´ll always have your gadgets close at hand! The sleek design is based on the standard size of an iPad. This felt iPad sleeve Helsinki by Rowold is made of wool felt that is 3 mm thick. The light gray felt is color picked prior to the tanning procedure. Wool felt is a water and dirt repellent natural product made of 100% wool. 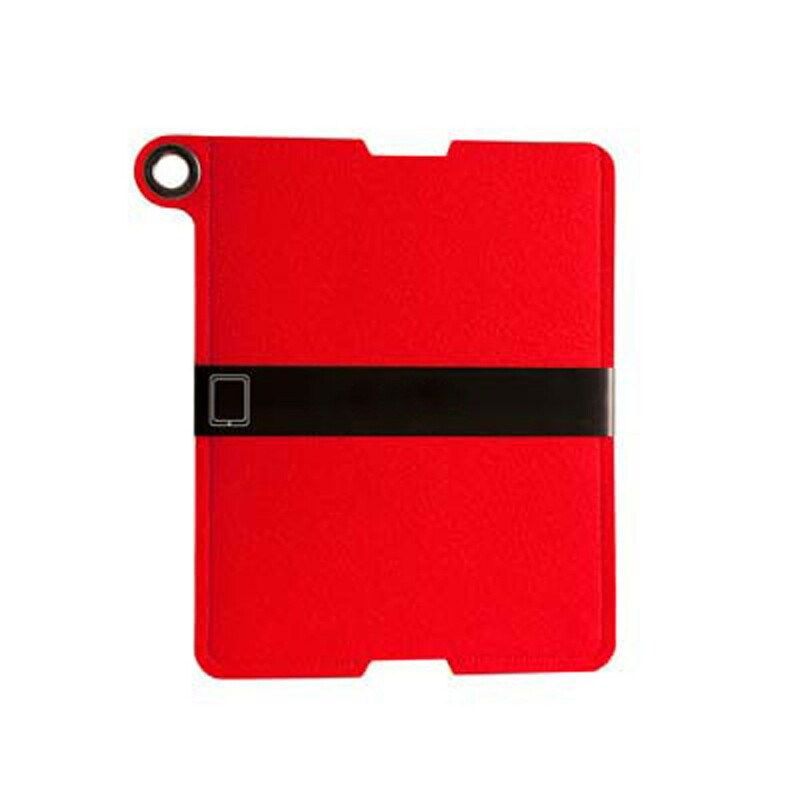 It is firm and soft and offers excellent protection for your valuable iPad. The sleeve is available in black, red, blended grey, all with a leather clasp. 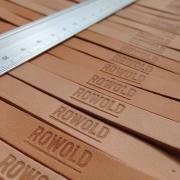 Ellis Rowold combines craftsmanship with smart, functional design. Her focus is on the 'global nomad', someone who is always on the road and carries a smart phone, tablet, and keys with him/her. She designs trendy sleeves for them. Function equals shape; the iPad sleeve Helsinki is sleek, easily wearable thanks to a ring and has a large inside so you can charge your phone while it is in the sleeve. The stylish felt Rowold covers are recognizable thanks to the sleek shape and solid colors with a metal accent. The timeless Helsinki sleeves are made of natural materials. 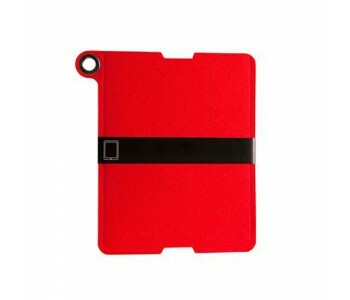 Since the introduction of the first iPad, protection cases and sleeves gave become an important fashion accessory. The sleek felt iPad sleeves by Rowold are truly fashionable items that also have a functional purpose; the protection of your valuable tablet. Looking for a matching iPhone sleeve? Please take a look at our Rowold felt sleeves collection and feel free to combine!